BookBundlz - Legal Stuff Welcome to BookBundlz - Your book club & reading group resource. - Unleash a Book! This site is owned and operated by BookBundlz LLC and contains material which is derived in whole or in part from material supplied by BookBundlz LLC and other sources. The material on this site is protected by international copyright and trademark laws. You may not modify, copy, reproduce, republish, upload, post, transmit, or distribute in any way any material from this site including code and software without express permission from BookBundlz LLC or as permitted in Reprint Requests. You may download material from this site for your personal, non-commercial use only, provided you keep intact all copyright and other proprietary notices. The contents of BookBundlz, such as text, graphics, images, and other material contained on the BookBundlz Site ("Content") are for informational purposes only. Reliance on any information provided by BookBundlz, BookBundlz article contributors on the Site at the invitation of BookBundlz, or other visitors to the Site is solely at your own risk. BookBundlz LLC assumes no responsibility for the products promoted in any ads featured on BookBundlz. BookBundlz has provided links and pointers to Internet sites maintained by third parties. Neither BookBundlz, its parent or subsidiary companies, nor their affiliates operate or control in any respect any information, products or services on these third-party sites. The materials in this site and the third-party sites are provided "as is" and without warranties of any kind either express or implied. To the fullest extent permissible pursuant to applicable law, BookBundlz disclaims all warranties, express or implied, including, but not limited to, implied warranties of merchantability and fitness for a particular purpose. BookBundlz does not warrant that the functions contained in the materials will be uninterrupted or error-free, that defects will be corrected, or that this site, including bulletin boards, or the server that makes it available, are free of viruses or other harmful components. BookBundlz does not warrant or make any representations regarding the use or the results of the use of the materials in this site or in third-party sites in terms of their correctness, accuracy, timeliness, reliability, or otherwise. You (and not BookBundlz) assume the entire cost of all necessary maintenance, repair, or correction. BookBundlz reserves the rights to publish or not publish any and all information submitted to the Insights and Lessons website(s) at their sole discretion. You are responsible for maintaining the confidentiality of your information and passwords. You shall be responsible for all uses of your registration and account, whether or not authorized by you. You agree to immediately notify BookBundlz of any unauthorized use of your registration or password. You alone are responsible for the content of your messages or any materials you transmit to others, and any consequences of such messages. Please carefully consider the information you choose to post on BookBundlz, including, but not limited to your article, profile or contact information. Do not continue any conversation online that makes you feel uncomfortable. BookBundlz assumes no responsibility or liability for any inaccurate, inappropriate, offensive or sexually explicit material or information, products or services you may be provided by other users of BookBundlz. You further agree that you will not use BookBundlz or any services they provide to promote any message or material of any kind or nature that is unlawful, harassing, libelous, defamatory, abusive, threatening, harmful, vulgar, obscene, profane, (unless within the scope of the topic area as determined by BookBundlz in its sole discretion), racially offensive, inaccurate, or otherwise objectionable material or that encourages conduct that could constitute a criminal offense, give rise to civil liability or otherwise violate any applicable local, state, national or international law or regulation, or encourage the use of controlled substances. For purposes of the immediately preceding sentence, "masked" vulgarity, obscenity or profanity (e.g. "f*ck") is deemed to be equivalent to including the actual objectionable word, phrase or symbol in your post, message or otherwise on BookBunlz. BookBundlz reserves the right to delete any such material from the BookBundlz website. BookBundlz will cooperate fully with any law enforcement officials and/or agencies in the investigation of any person or persons who violate the Terms of Service contained within this statement. You agree not to impersonate any other person or entity, whether actual or fictitious, including impersonating an employee or consultant of BookBundlz. You further agree not to use an inappropriate member name of any kind. You agree not to post or use the BookBundlz website or services to distribute or send any illegal material of any kind, including but not limited to, illegal material in the form of text, graphics, video, programs or audio. Posting content or participating in any form of discussion with the intention to commit any illegal activity is strictly prohibited. You acknowledge that (i) content on the BookBundlz is protected by copyrights, trademarks and other intellectual and proprietary rights ("Rights"); (ii) these Rights are valid and protected in all media and technologies existing now or later developed; and (iii) except as explicitly provided otherwise, the Terms of Service and applicable copyright, trademark and other laws govern your use of such content. You may not post to the BookBundlz website, copy, reproduce, retransmit, distribute, publish, commercially exploit or otherwise transfer any material that infringes any Rights. You acknowledge that BookBundlz may acquire Rights to use any posted materials as described below, and that you will not acquire any of those Rights by downloading such materials. By submitting content, which shall include your member name, to any "public area" of BookBundlz, you grant BookBundlz a royalty-free, perpetual, irrevocable, non-exclusive right (including any moral rights) and license to use, license, reproduce, modify, adapt, publish, translate, create derivative works from, distribute, derive revenue or other remuneration from, communicate to the public, perform and display the content (in whole or in part) worldwide and/or to incorporate it in other works in any form, media, or technology now known or later developed, for the full term of any Rights that may exist in such content. You also warrant that, to the extent that you are not the exclusive holder of all Rights in content you submit, the holder of any Rights, including moral rights in such content, has completely and effectively waived all such rights and validly and irrevocably granted to you the right to grant the license stated above. You also permit any user to access, display, view, store and reproduce such content that you have made public for personal use. Subject to the foregoing, the owner of such content placed on the BookBundlz website retains any and all Rights that may exist in such content. BookBundlz is not obligated to review content posted by users prior to the content's posting to any area of BookBundlz, including any private profile. Content posted by any user to the BookBundlz does not reflect the opinions or views of BookBundlz, its parent, subsidiaries or affiliates. BookBundlz makes no warranty, whether express or implied, as to the accuracy of any content or material that you send to other BookBundlz members through any BookBundlz service. ANYTHING CONTAINED HEREIN TO THE CONTRARY NOTWITHSTANDING, BY SUBMITTING CONTENT TO ANY AREA ON THE BOOKBUNDLZ WEBSITE(S), YOU HEREBY EXPRESSLY PERMIT BOOKBUNDLZ TO IDENTIFY YOU AS THE CONTRIBUTOR OF SUCH CONTENT IN ANY PUBLICATION IN ANY FORM, MEDIA OR TECHNOLOGY NOW KNOWN OR LATER DEVELOPED IN CONNECTION WITH THE CONTENT, UNLESS YOU OTHERWISE NOTIFY BOOKBUNDLZ LEGAL DEPARTMENT IN WRITING AT THE TIME YOU SUBMIT THE CONTENT THAT YOU DO NOT WISH TO BE IDENTIFIED. Any and all questions to the rights and obligations of BookBundlz and or it's contributors should be addressed before you submit an article, or any other information to BookBundlz. This is the sole responsibility of the contributor. 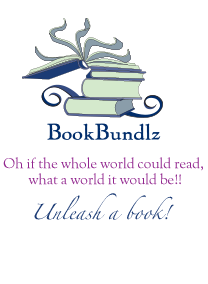 Any fees paid to Bookbundlz are non-refundable and non-transferable. If the fee is for a subscription, you will be automatically charged the respective fee on the anniversary date of your subscription. You can unsubscribe to that subscription by notifying us at BookBundlz.